Automatic monitoring equipment – automatic monitoring of physical and / or chemical parameters in water systems. Water softeners – Industrial and domestic water softening design, provision, installation and service / repair. 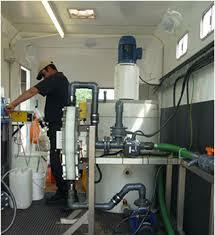 Water Filtration – Industrial and commercial water filtration design provision, installation and service / repair. Supply of replacement cartridges for cartridge type filters. Reverse Osmosis – Purification technology to reduce the dissolved solids in water as it’s supplied to your premises. This allows its use i n demineralised water applications, facilitating energy savings where water is used in evaporative cooling systems and steam boilers by reducing the water blow down required. To ensure that your water is treated in the most optimal and cost-effective way possible, we offer bespoke maintenance services, from water softeners to water recycling plant. Using the experience of our skilled engineers, AKVO can service your system to ensure you get the water characteristics and quality you need. It’s simple; after arranging a FREE on-site consultation with a member of our team, we will listen to your goals and produce a completely bespoke, legislation compliant maintenance package. During your consultation, we will listen to you and explain exactly what you can get for your money. Having expertly designed and installed a wide range of water treatment plants, we will know how to keep yours in optimum, economical condition and improve its efficiency. 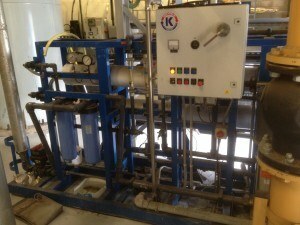 You can request bespoke water treatment maintenance from us if you are a residential, commercial or industrial business. Being based in Chesterfield, our helpful and professional team can also respond to your needs anywhere in the East Midlands and Yorkshire areas. To request your FREE on-site consultation and quote for bespoke water plant maintenance, call 0844 244 8726 or email office@akvo.co.uk.